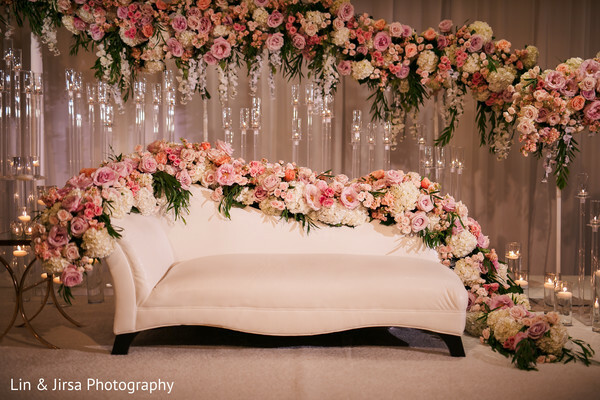 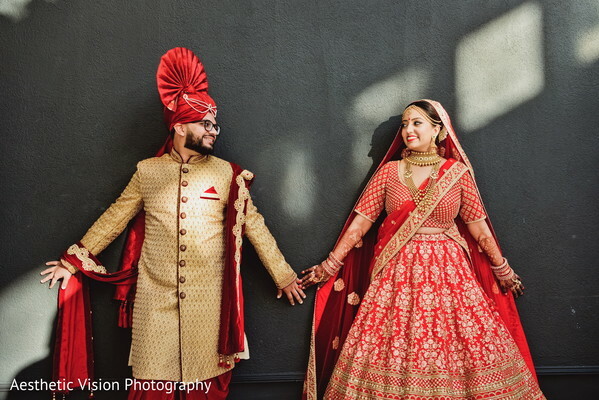 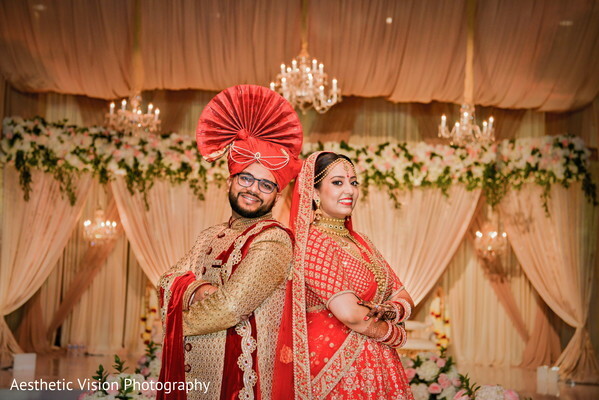 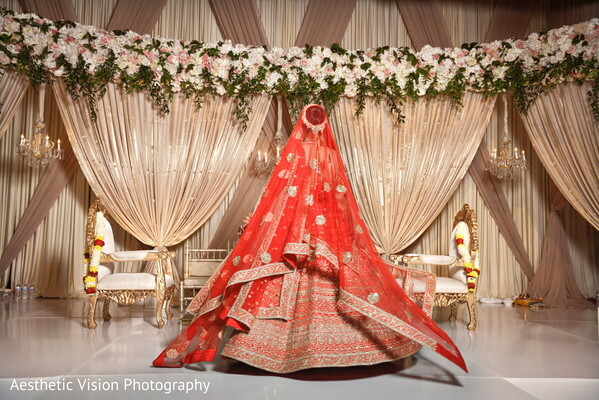 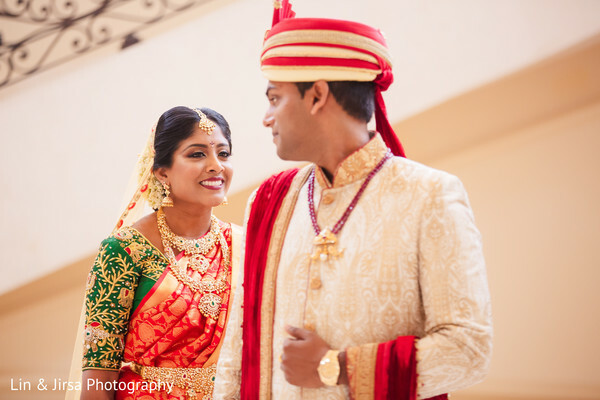 Sandhya and Kiru's reception feels straight out of a well-curated inspiration board! 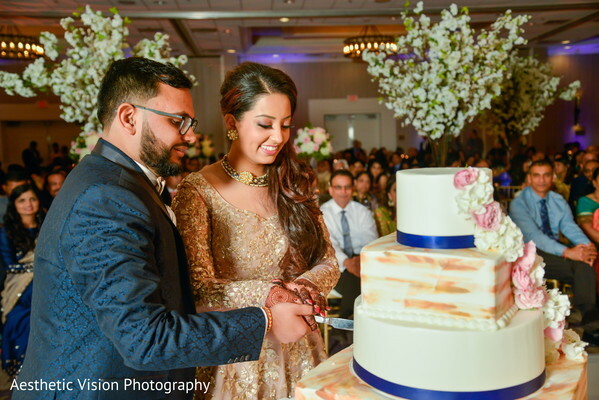 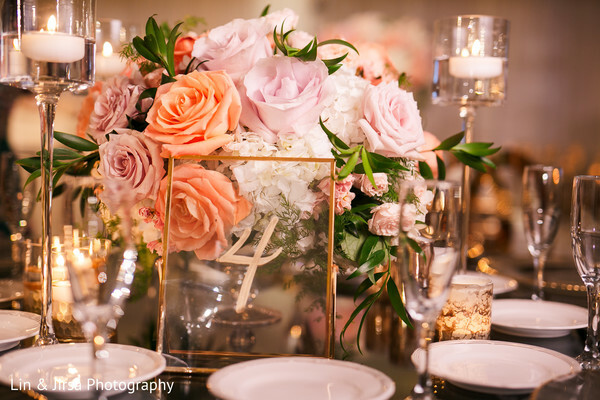 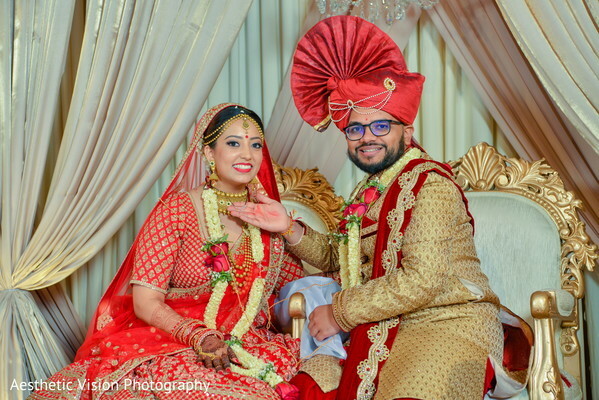 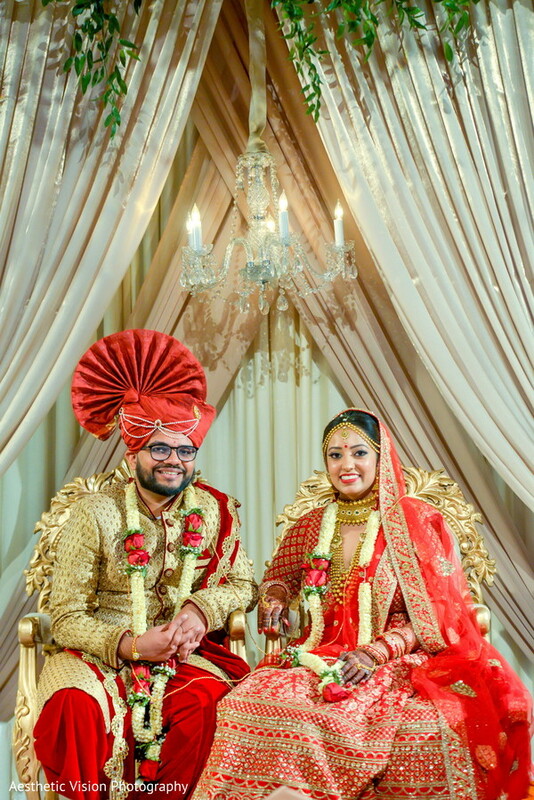 The wedding soiree was a romantic, elegant affair and a great party created by no other than the excellent planning firm of Blue Lotus Insights. 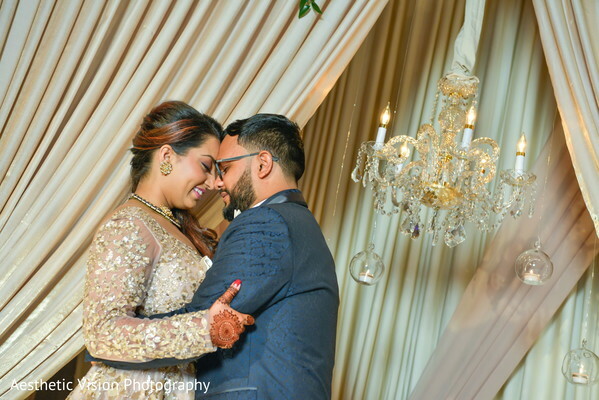 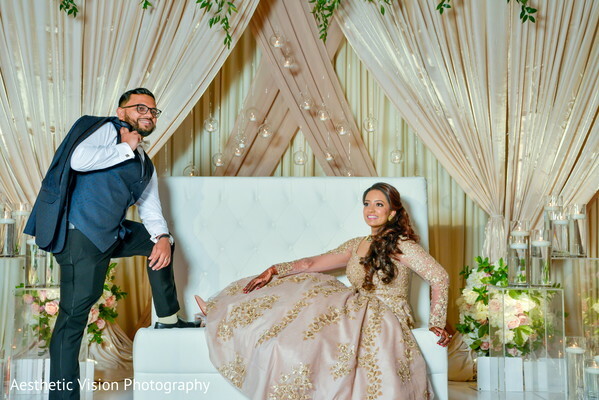 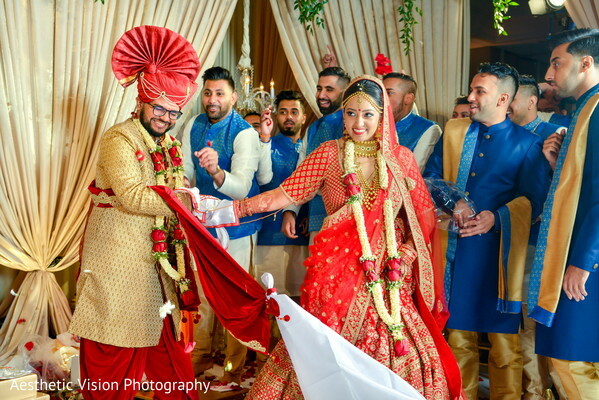 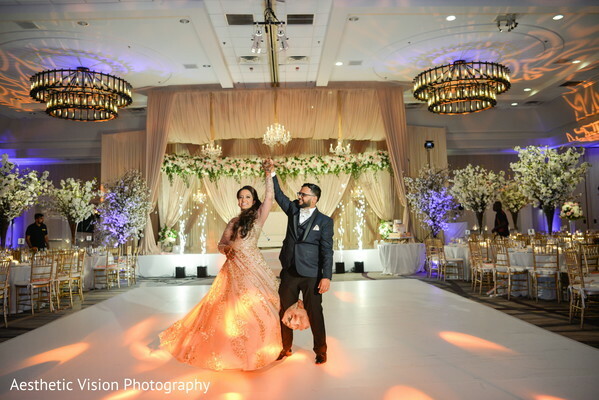 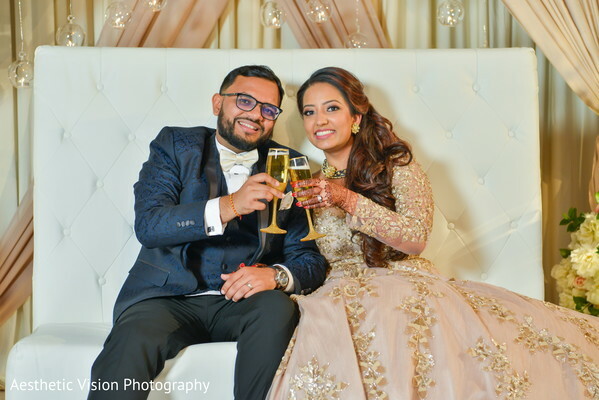 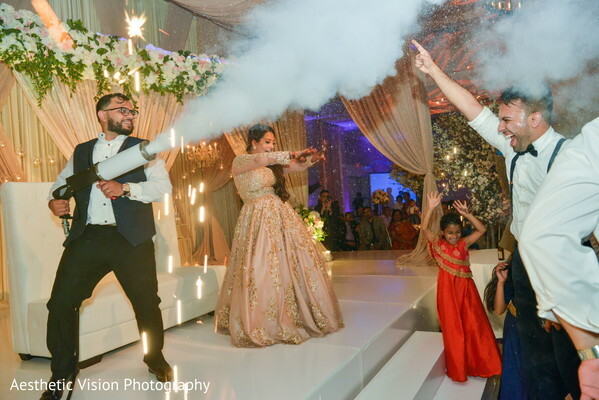 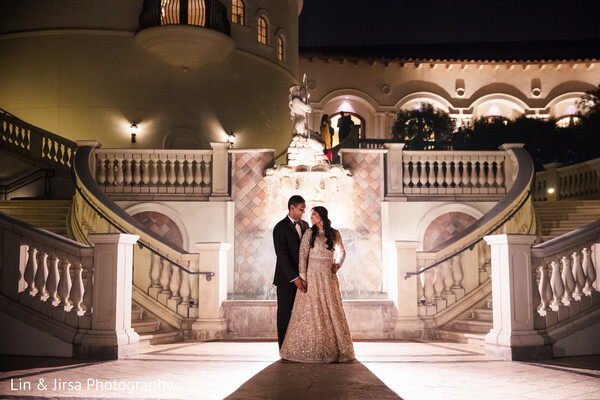 Orange County’s premier luxury Monchar Beach Resort was the scenario of such a memorable night that gave all the attendees a magical view of the couple's vision! 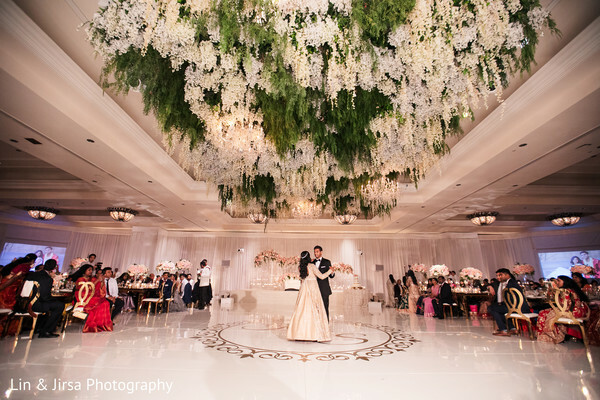 A magnificent floral ceiling and a roses garland over the sweetheart stage spread romance along with the sweetest colors all around the hall, while tall centerpieces added personality to every table! 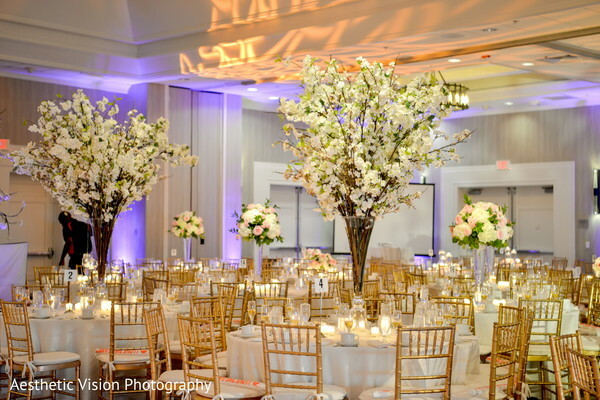 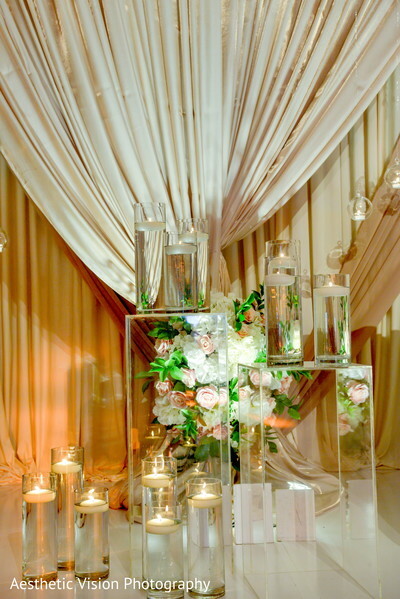 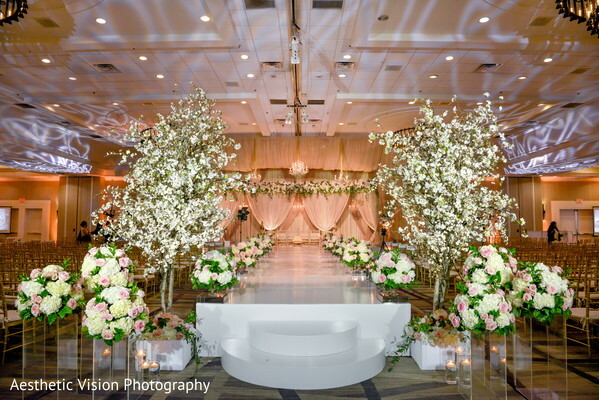 Shawna Yamamoto Event Design was the mastermind behind the creation of this lavish ambiance and 3D Sounds added their touch too with wonderful lighting and vibrant music! 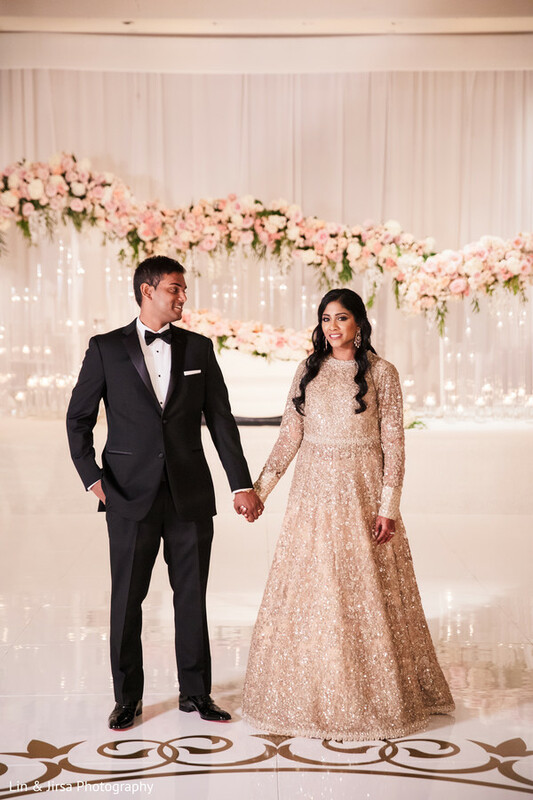 Dolled up by Lulu gave Maharani Sandhya a glowing yet elegant look for her last night and helped her elevate the style of her shiny dusty rose Anarkali while Kiru's formal reception attire was composed by a black tuxedo suit and a pair of elegant glossy shoes! 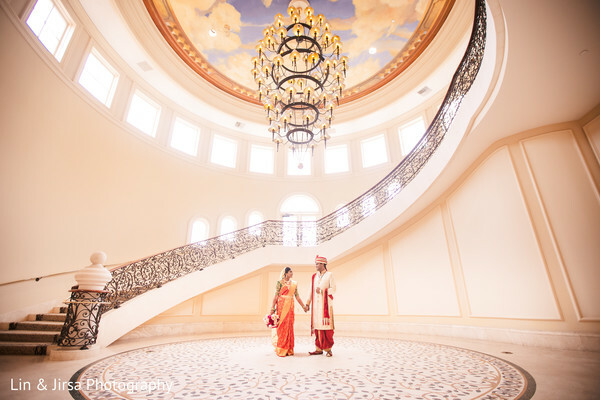 Check out every bit of action of this dreamy evening in our gallery by Lin & Jirsa Photography! 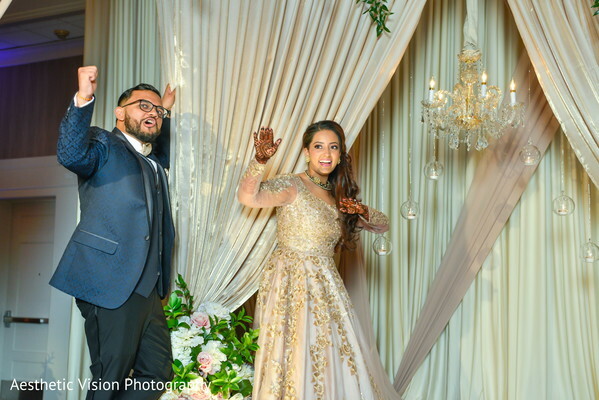 See you all tomorrow for more wedding fun! 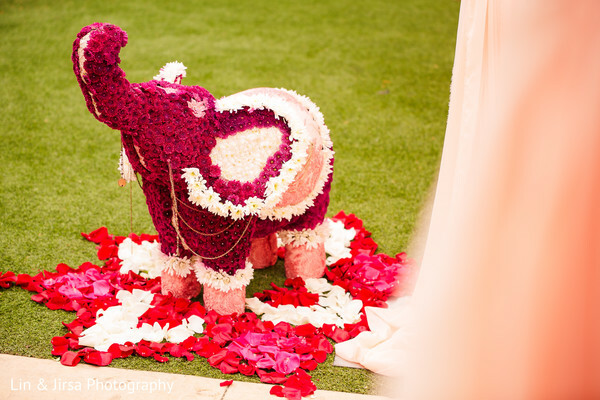 Happy Wednesday Maharanis! 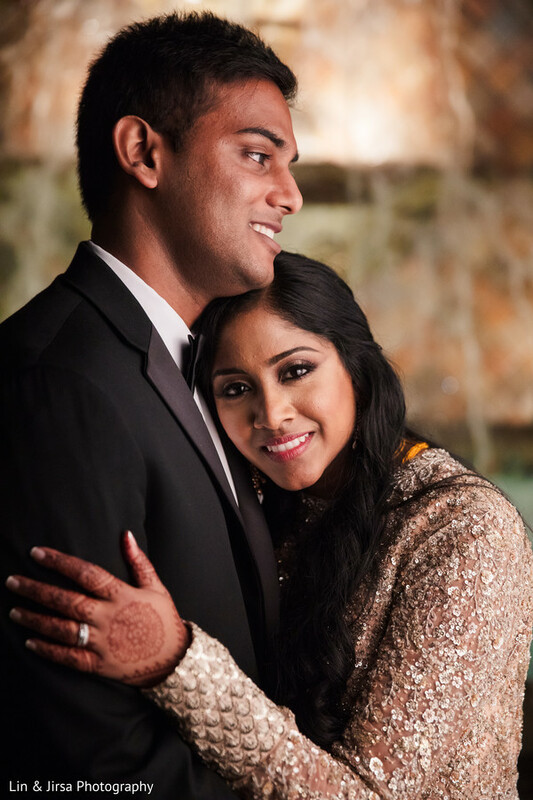 It's the turn of Sandhya and Kiru's love tale! 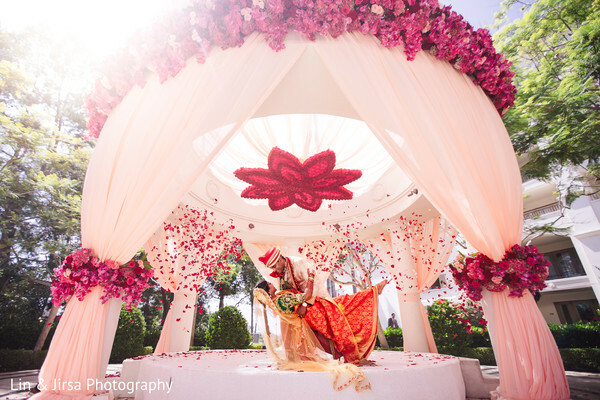 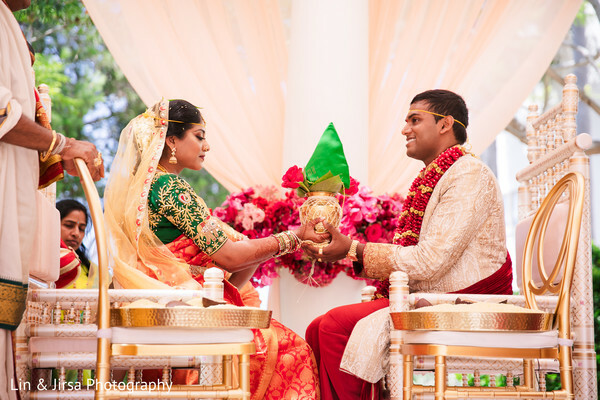 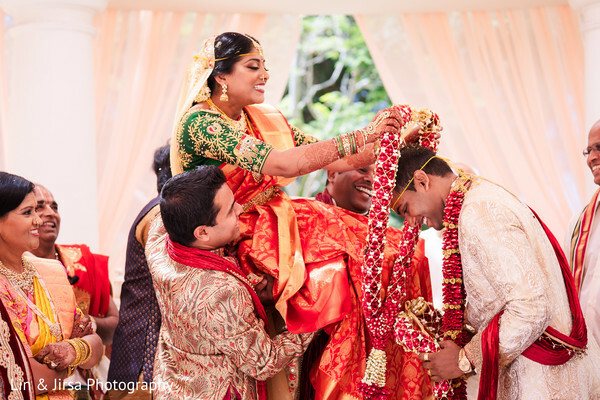 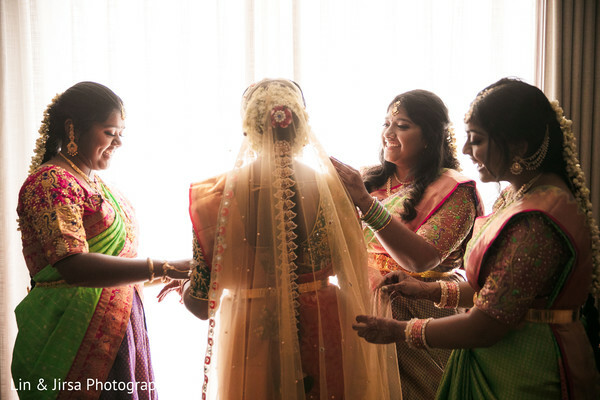 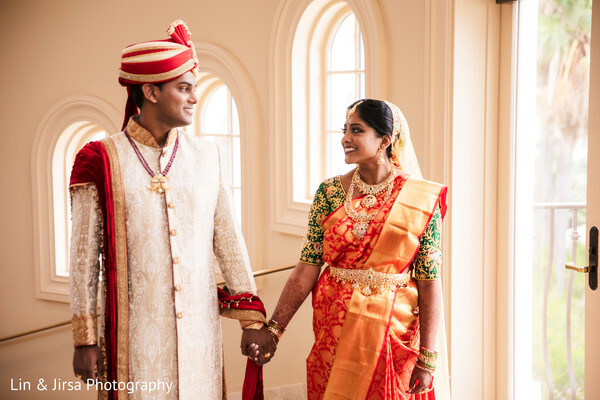 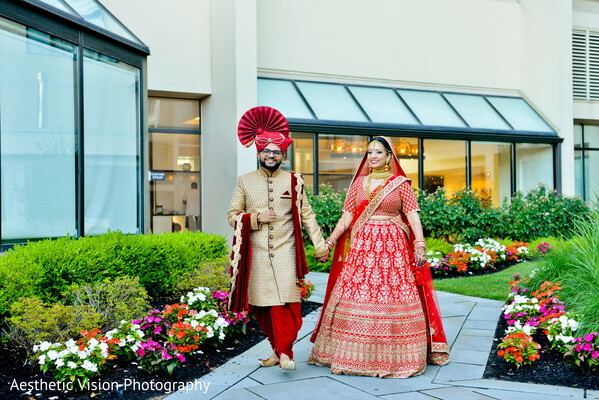 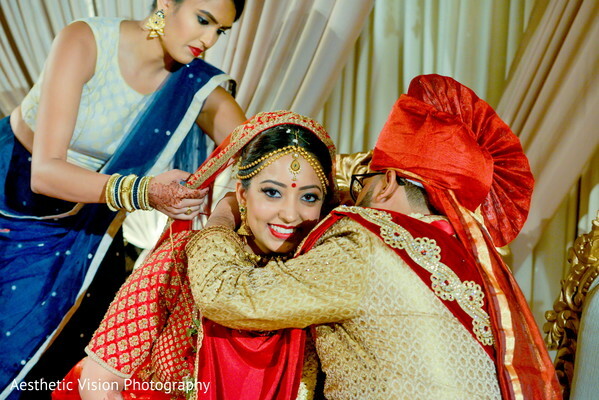 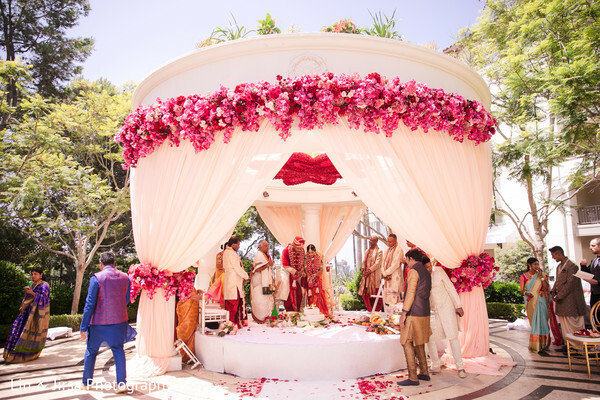 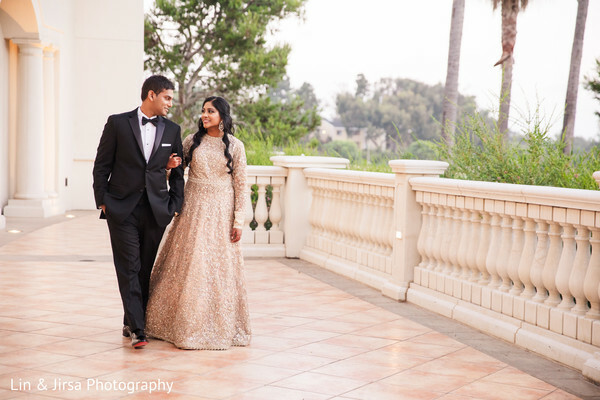 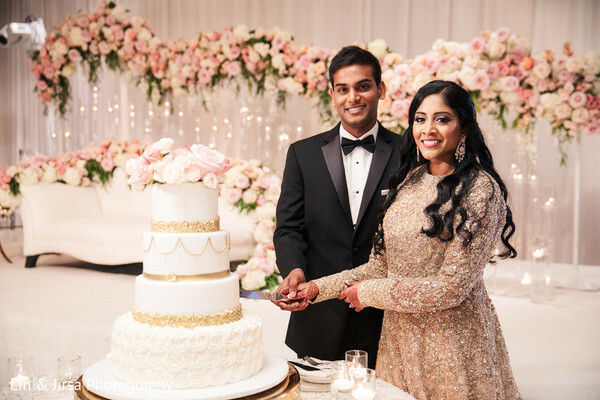 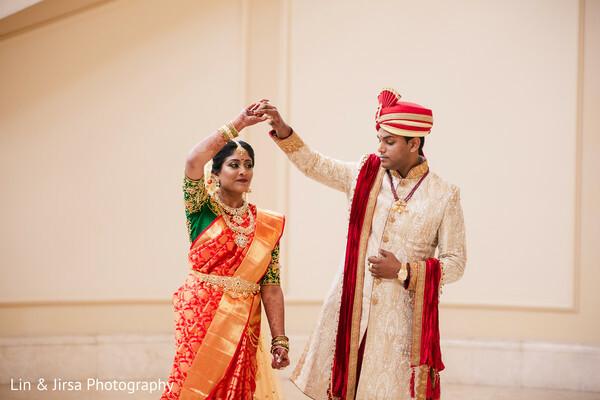 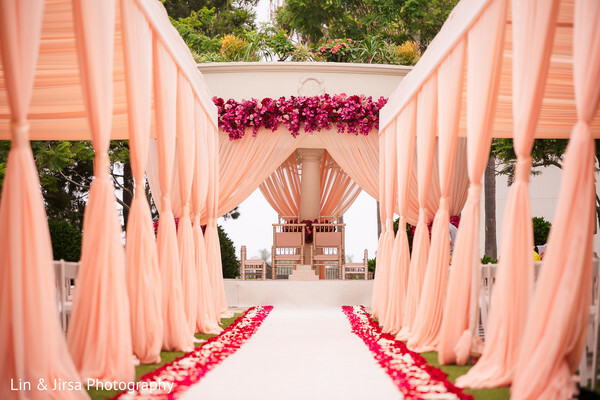 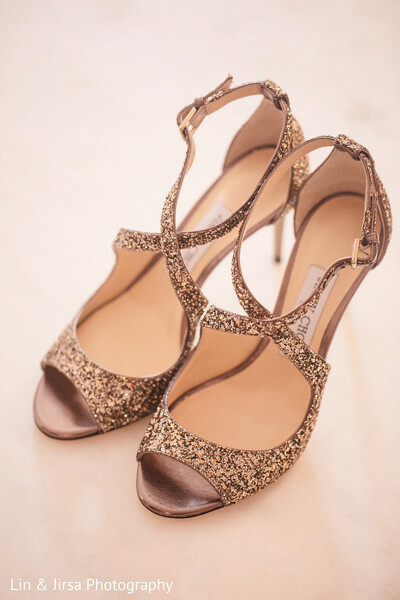 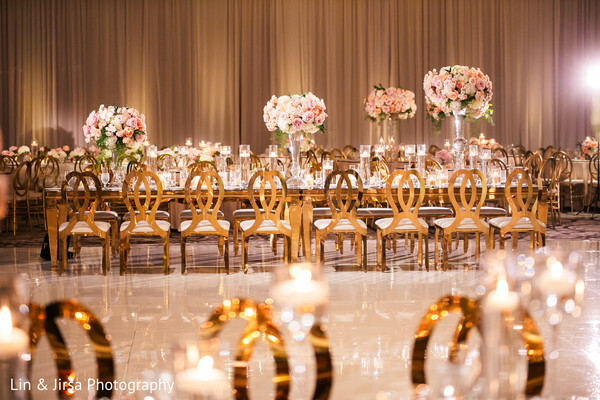 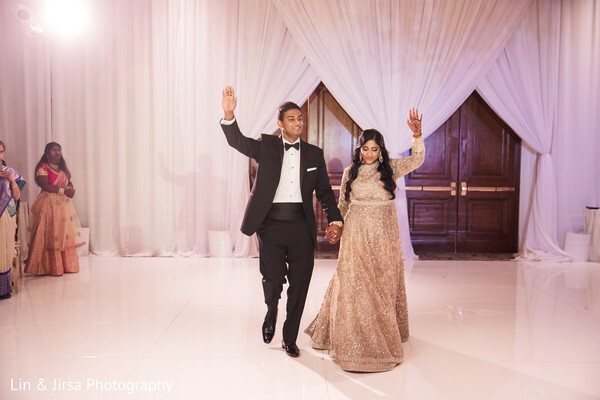 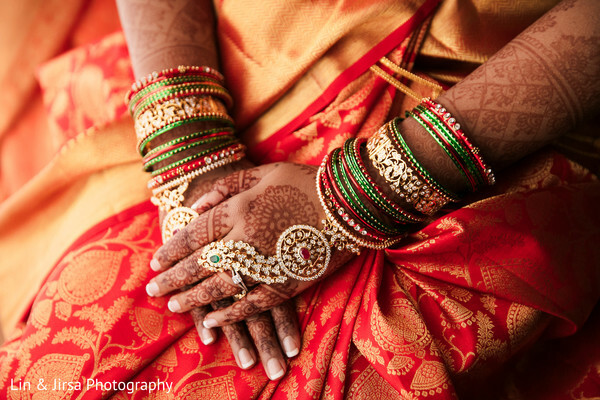 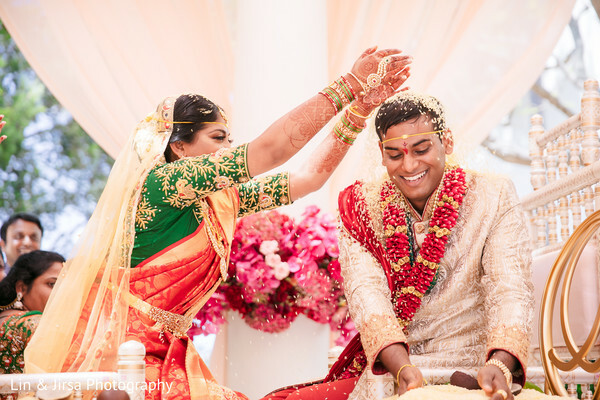 A luxurious South Indian wedding celebration in the heart of Coastal Southern California! 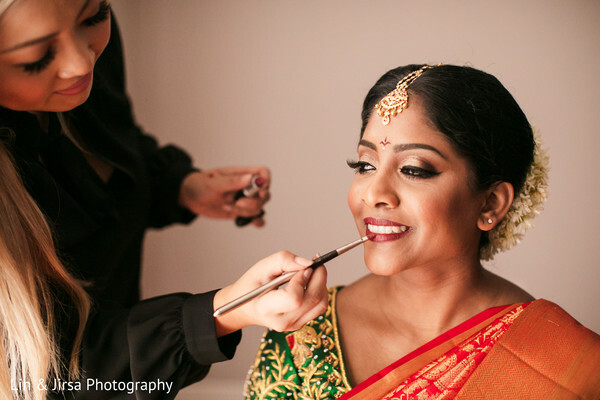 There is something truly special about this lovely south Asian bride that will keep you smitten and close to the screen as you unveil picture by picture the best of her getting ready scenes! 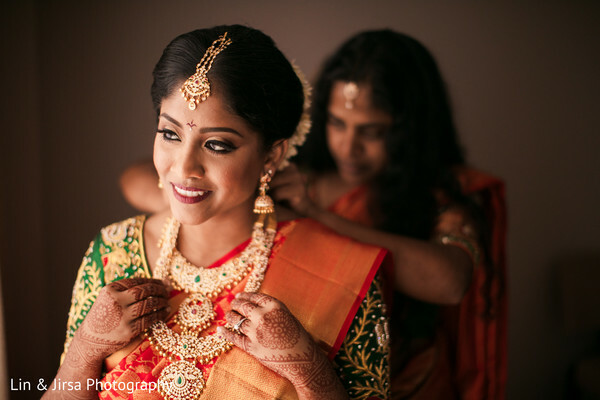 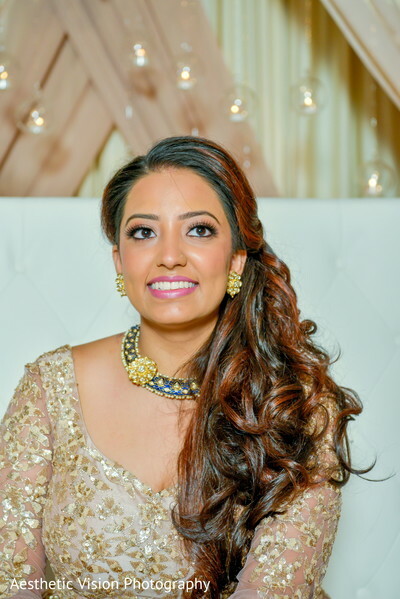 Lin & Jirsa Photography's fine art photo beautifully portray the charm of Maharani Sandhya as she received the best beauty treatments from the one and only bridal expert Dolled up by Lulu! 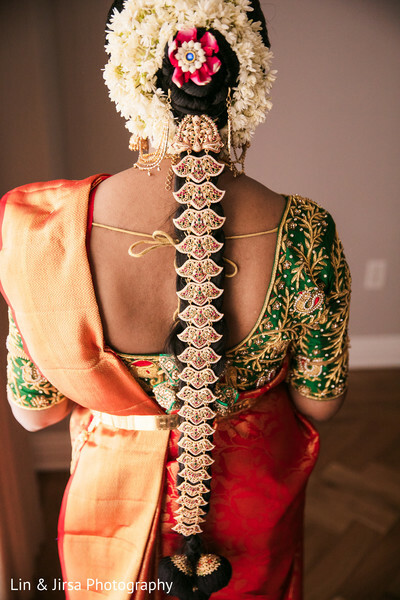 The unmatched allure of a sleek braid with traditional embellishments was the perfect compliment for her splendid silk saree, while a pair of sparkling strappy peep-toe pumps were the final touch of her mesmerizing colorful wedding day look! 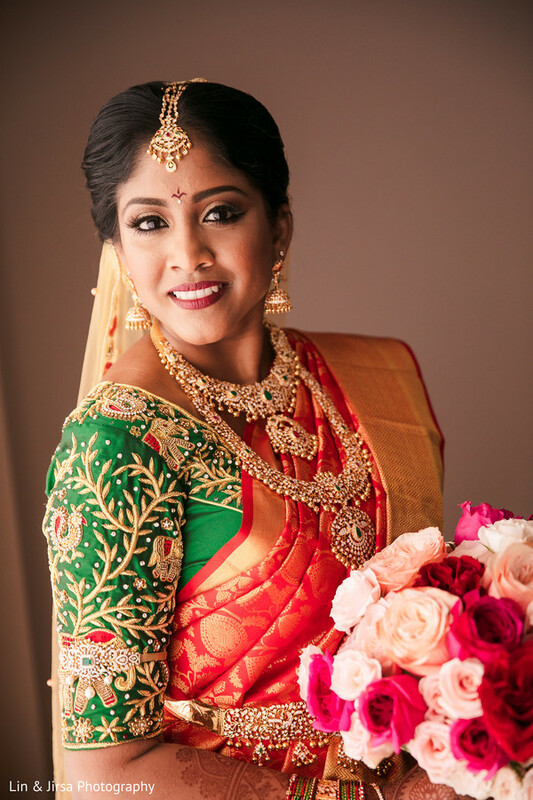 I can't finish our first feature without mention the fabulous waistbelt with hanging gold danglers that matched her entire lustrous temple jewelry set! 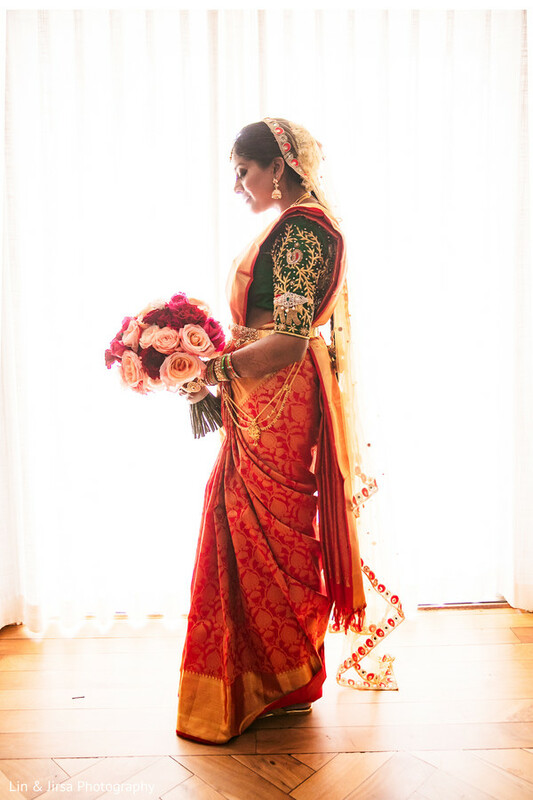 This lovely lady was ready to walk down the aisle! 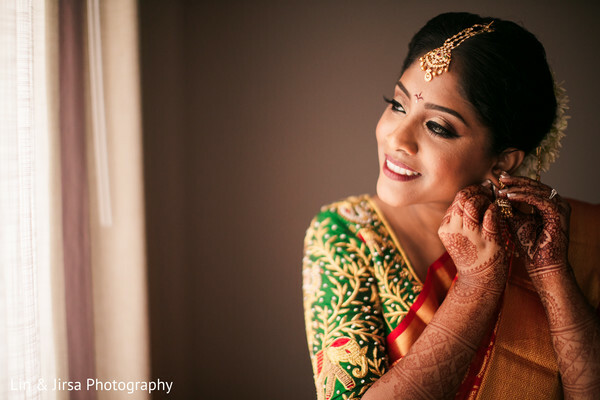 Head to the full gallery for a gorgeous set of images of this Indian beauty now! 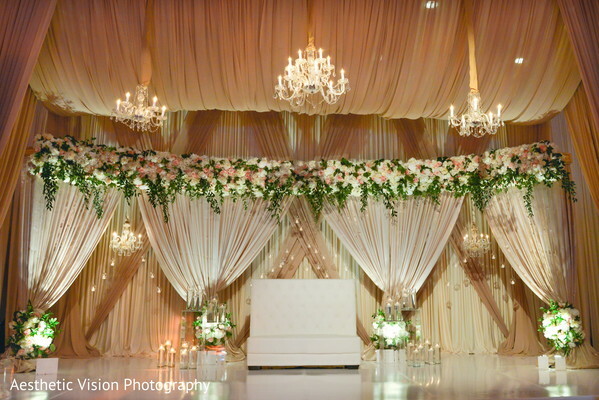 See you in a twinkle to bring you all the grandeur of the ceremony!